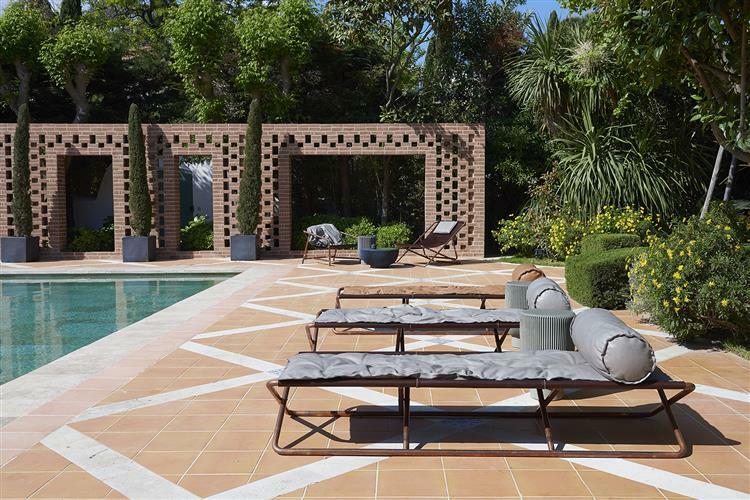 Since 2009, Chanel has been leaving its luxe surroundings of 31 Rue Cambon, Paris to travel to swanky ol’ Saint-Tropez from April to October. 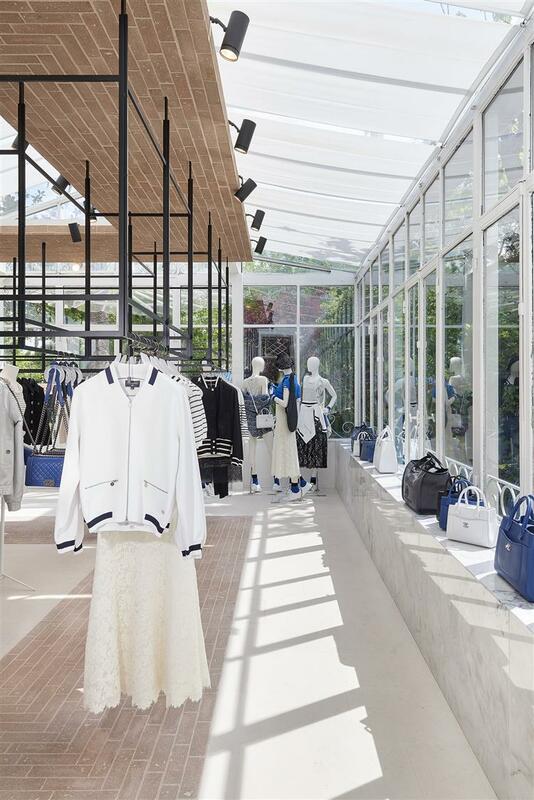 For the seventh consecutive year, the brand’s French legacy graces the radiant La Mistralée townhouse for another summer pop-up. 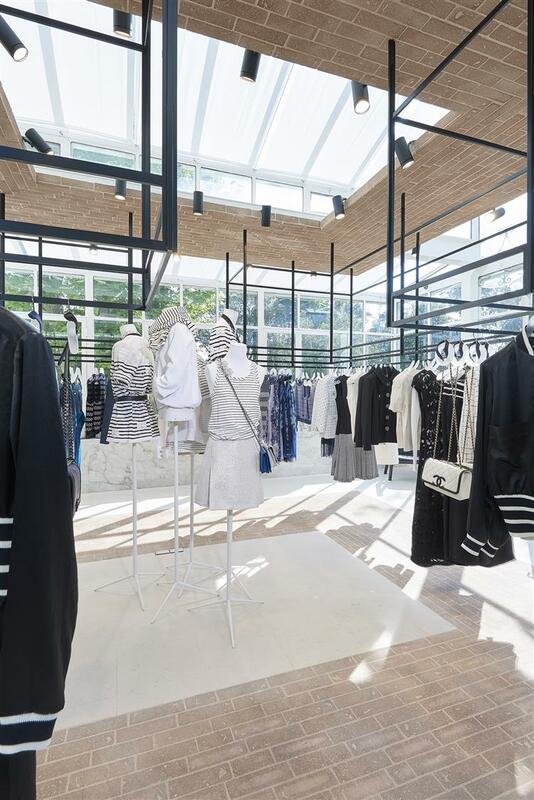 Karl Lagerfeld probably fell in love with the traditional marina when he presented the label’s cruise collection in 2011 to want to keep returning. Reminiscent of Parisian facades, beige unpolished stones trace the floors while slanting walls and brick drop ceilings ease the asymmetry. Pristine white recesses with stark, dark monoliths set off the season’s accessories, along with the handbags and shoes. The new Coco Crush Fine Jewellery collection and the latest J12 and Boy.Friend watches sit pretty. A selection of high jewellery will be also presented in July and August. The verrière, a glass-roofed room, drenches with sunlight and its red-brick ceiling is a refreshing break from the boutique’s polished vibe. 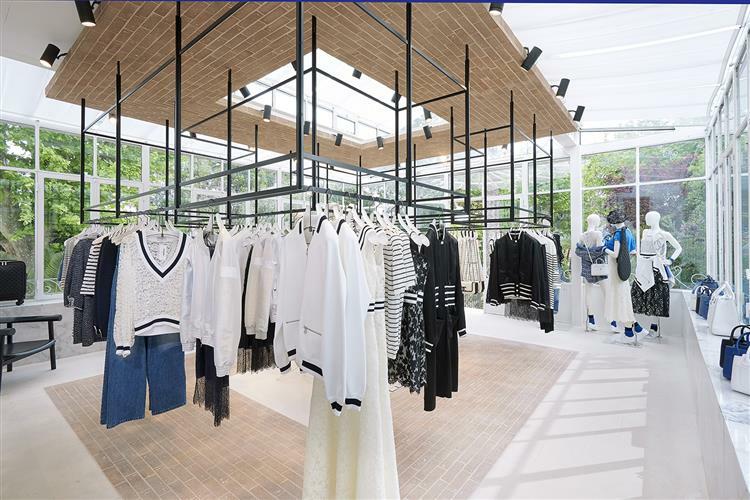 The ready-to-wear pieces are presented over a long liner-rail that is suspended from the ceiling. The pool house is covered in similar red bricks and pinkish-beige cement, forming an elegant mashrabiyya (delicately latticed oriel windows). The garden’s azure blue swimming pool is lined with relaxing deckchairs and copper tables, making it a serene slice of paradise. This boutique in Saint-Tropez will be open until October 2nd, 2017.